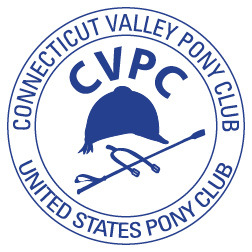 The first NYUC mounted rally of 2017 ran quite successfully today at Mitchell Farm in Salem, CT. under the organization of Connecticut Valley Pony Club. Parents, members, guests, volunteers, staff and competitors all chipped in to help with everything from scoring to equipment running to sharing horses and equipment to cheering on those having and overcoming difficulties. 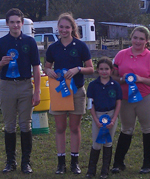 -Guts, No Glory HM Cup for best NYUC HM team score at the rally. It was great to have riders from Western New England and White Mountain Region riding with us!!! Good luck to those teams and riders going on to the rally at CNE and to Nationals!!! Entry filed under: cvpc, Games Rally, Pony Club Event Rally, Pony Club Regional Rally, Uncategorized.